Do you have memories of being in an open air school? Do you know about the open air schools that served your area? 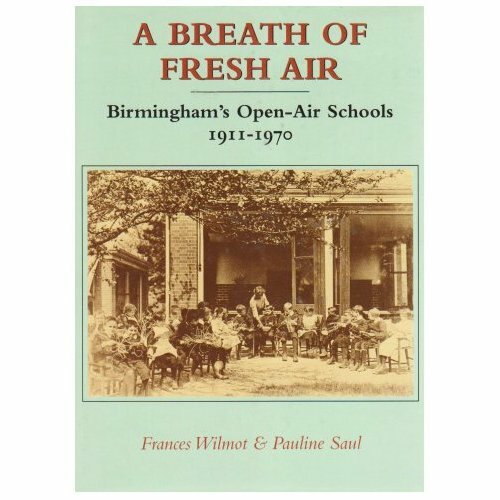 The history of Birmingham's open air schools have been covered comprehensively in the above book. An appeal for information about Cradley Heath Open Air School. Does anyone know anything about the open air school in Cradley Heath (in Sandwell, West Midlands)? We have been contacted by someone whose mother worked at the school in the 1950s and we'd love to know more about it. Open air schools, as an idea, was not restricted to England but in fact began on the continent the early 1900s. They were first conceived as a way of tackling tuberculosis which affected large numbers of people before the Second World War. The idea behind them was very simple - children would get as much fresh air as possible, spending much of their day outside and perhaps sleeping outside or in wards which were open to the elements. The schools were residential and some children could live there for much of their childhood. Others stayed for only a short time. While the initial focus on many of the first open air schools was on TB, later the focus shifted to more general health issues which it was felt would benefit from fresh air and exercise. 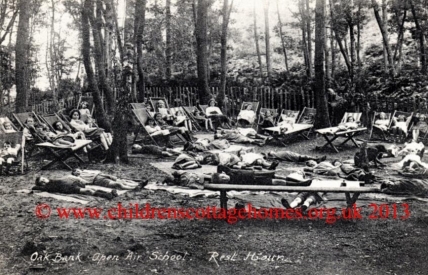 Many of the children going into open air schools would have been described as 'delicate'. The first open air schools in England were opened in London in 1908. In his book 'The Open Air School' written in 1914, Hugh Broughton describes the very simple means by which classrooms were designed to allow fresh air in: "the room may be open on three sides while on the fourth there is a blank wall giving accommodation for blackboard pictures and cupboard." by J. Shorey Duckworth (2005): "After the Second World War the situation with regard to open-air education changed dramatically. New treatments, including antibiotics had been introduced and new ideas formulated for dealing with ‘delicate’ children. Standards of living improved and the incidence of TB declined. More and more physically handicapped children were sent to the schools". If you have any information, or photos, that might help, please let us know. Thank you. "I attended the open air school Burnley from 1944 to 1947. I moved with my family to Australia in 1950 to start a new life at age 13, and here I still remain. I have no photos of the school as film was in short supply [as most other things ] in the war and post-war years. The head mistress was Miss or Mrs Mckay. There was a teacher named Miss Read. I remember being happy at that school. We used to go for organised walks in Thompsons Park which was next to the school. A bomb hit Thompsons Park in 1943 or 1944." Barton Hill, Bristol - In 1920 the school moved to St George's Park. Became a special school which closed in 2007.